Come and celebrate! On Wednesday 28 November Wellington is hosting a Disability Pride Rally: Claiming Our Place at Toi Whakaari, 11 Hutchinson Street, Newtown, from 12.30pm to 2pm. It’s a time to get together, express and celebrate disability and diversity, and the awesome contributions that disabled people make to our society and communities. At the rally, there will be wearable art, speeches, music, dance, performing arts, a Pride Line, Crip the Lit and a fun time! Come along, help make our rally a success and wear your pride. All welcome, tell your friends! 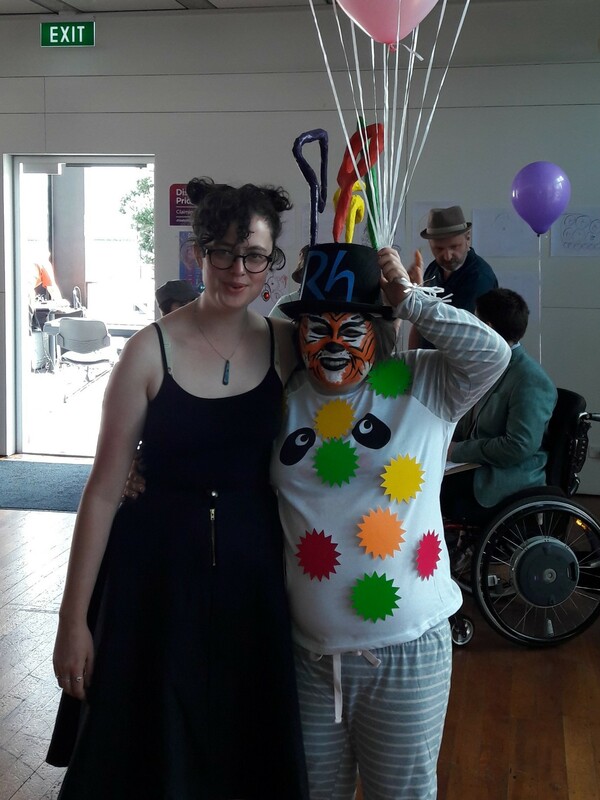 Disability Pride Through Wearable Arts was a feature at last year’s Disability Pride Day on the waterfront and will be feature of next week’s rally too. For the second year, a group of disabled and non-disabled people have been learning about, designing and working on wearable arts pieces with the team at Vincents Art Workshop. These pieces will be paraded at the Rally. It’s not too late to come and get some ideas and help designing and making your own piece. Pop in or stay the whole weekend at our Disability Pride Through Wearable Art Open Studio at Vincents Art Workshop in the Willis St Village, Wellington this weekend Saturday 24 & Sunday 25 November from 10am-4pm each day. Original generation time 1.3955 seconds. Cache Loaded in: 0.0006 seconds.